Administrator and educator, Perry Smith rose to be district principal of Aboriginal education in the Abbotsford School District within six years of starting his career. 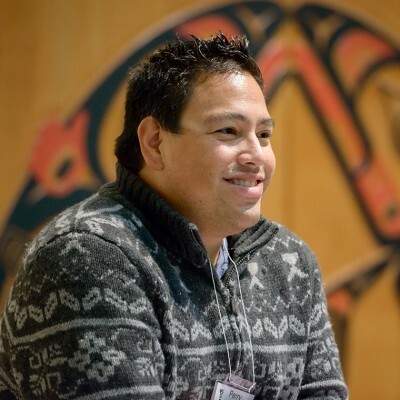 Originally from the Bonaparte First Nation in Cache Creek, BC, Smith joined the Abbotsford School District in 2000, the same year he graduated with his Bachelor of Education from the Indigenous Teacher Education Program (NITEP) at the University of British Columbia. He started his career as a grade 1 teacher at Terry Fox Elementary, and quickly joined the district’s Aboriginal department as a helping teacher, assisting with the educational development of Aboriginal students. In 2004, Smith was appointed district vice principal of Aboriginal education, and in 2006, he was promoted to the role of district principal. In this position, he was involved in the creation of the “Aboriginal Hub” in the Aboriginal Education Centre. The Hub brings together a range of community programs and services for children and families into one building, provided by the school district, with the aim of helping children access the social and health services they need to be successful at school. At the time the Hub opened in May 2009, it was the only one of its kind in BC. Smith’s overarching goal as district principal is to increase the number of Aboriginal students who complete secondary school, and has seen significant results in this area. With three years under Smith’s leadership, Abbotsford ranked second of all school districts in the province in Aboriginal achievement, based on grades 4 and 7 Foundation Skills Assessments. His district continues to rank higher than the provincial average in secondary school completion rate among Aboriginal students.